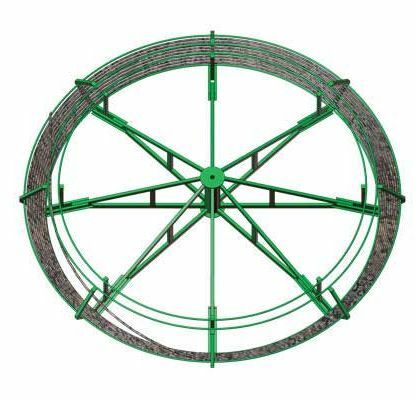 As producers strive to maximize production from deviated, slant, or horizontal RRP and PCP applications and the benefits of continuous rod are realized in these well trajectories, demand for more continuous rod service options is on the rise in today’s market. Ensuring you have the right service for your product is not only imperative, it’s responsible. Lifting Solutions has put the ground work in to make sure our continuous rod servicing options are safe, next-generation, and strategically positioned for maximum efficiency and availability. We engineer, manufacture, deliver, and provide all well servicing options for your application including running in, pulling out, repairing, and other continuous rod interventions. And, as failures can occur, our failure analysis lab is outfitted with state-of-the art diagnostic equipment and a team of quality professionals that will find the source of your failure and provide you with solutions. One client saved 27% in workover costs by using our Endless Rod Unit to perform a parted rod intervention instead of a traditional service rig combined with a truck mounted gripper. Previously, this was the only option available to the client as a result of high wellhead and long polished rods installed in the well. The ERU significantly changed the workover economics in this field. One client was able to reduce the number of service specialists required on-site for a typical workover from 7 people to 3 people by using the Endless Rod Unit.